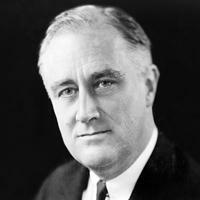 Franklin Delano Roosevelt (politician). He/she was born on 30 January 1882, his/her birthplace is New York City, his/her country is United States, its date of death is 12 April 1945, his/her political party is Democratic Party (United States), his/her current position is 32º Presidente de Estados Unidos. There is information in Classora Knowledge Base about 8 rankings, reports and surveys.